This winter landscape painting “First Snow” is being sold on ebay and the auction ends in 3 days so head over to ebay here to view and bid on through Saturday at 9pm. The vertical size is perfect for many walls in your home and will fit in a 8″ x 10″ frame that has an inner mat. 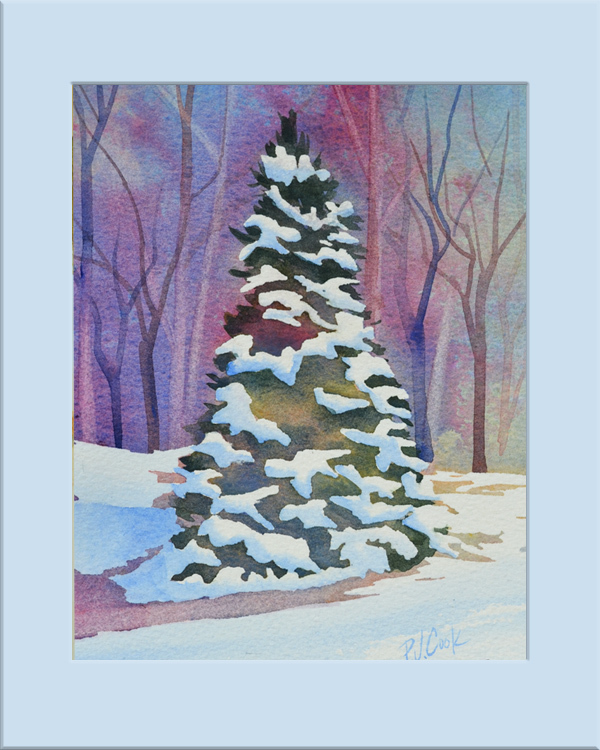 The actual watercolor is 5″ x 7″ and has a nice luminous glow. SOLD! Sold unframed, will fit in a ready-made frame.